The new meter utilizes strain gauges located on the crank arm to measure deflection caused by pedaling force on the arm (click to enlarge). Pioneer Electronics has expanded its line of power meters with the introduction of a new Single Leg Power Meter designed for road and cyclocross applications. 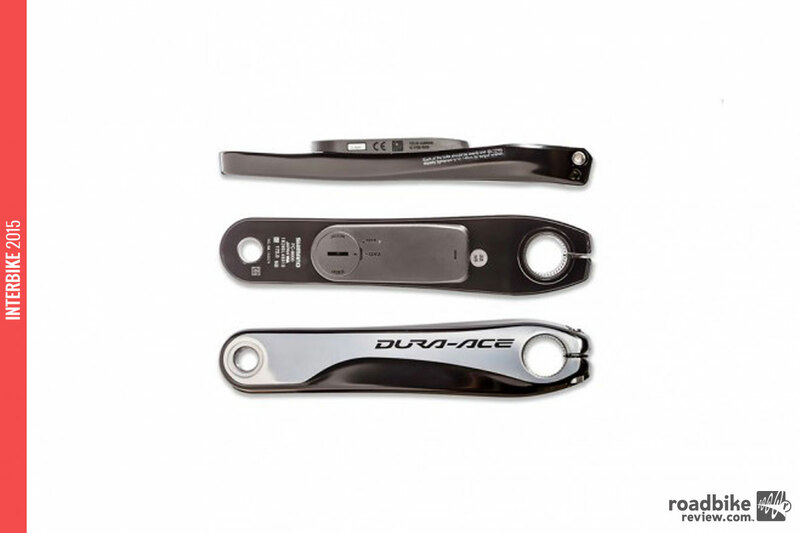 Available with Shimano Dura-Ace 9000 cranks for $900 or Ultegra 6800 for $800, the new Single Leg Power Meter is aimed directly at more budget conscious riders. Power data is measured every 30 degrees, 12 times per crank rotation. Additionally, two accelerometers provide cadence and advanced error correction for more accurate cadence and power analysis. The Single Leg Power Meter is compatible with ANT+ devices, including ANT+ sport watches. Riders with ANT+ computers will be able to see all ANT+ power metrics supported by that computer. Access to Pioneer’s HDPower Metrics for enhanced power data and analysis is available by combining the SGX-CA900 or SGX-CA500 Cycle Computer with the Single Leg Power Meter. Adding one of Pioneer’s Cycle Computer to the Single Leg Power Meter enables the rider to view performance analysis and detailed data, gathered from 12 points of measurement, displayed graphically in real-time on the display of the Cycle Computer, including force vectors and torque vectors graphics and pedaling efficiency. Post-ride analysis is available on Cyclo-Sphere, Pioneer’s free online cloud service. With Cyclo-Sphere, more than 200 performance metrics are collected by the system and illustrated in detail utilizing a variety of graphs, charts and maps. The SGX-CA500 Cycle Computer’s built-in Wi-Fi allows for automatic uploads of collected ride data into Cyclo-Sphere, Strava or TrainingPeaks. Riders who purchase the single leg set-up can upgrade to Pioneer’s dual leg power meter if they decide they want more power metrics. The upgrade kit, which will bring power measuring to the right arm, will retail for $750. For more information visit www.pioneerelectronics.com. This article is part of RoadBikeReview’s coverage of the 2015 Interbike trade show in Las Vegas. For more from Interbike CLICK HERE.